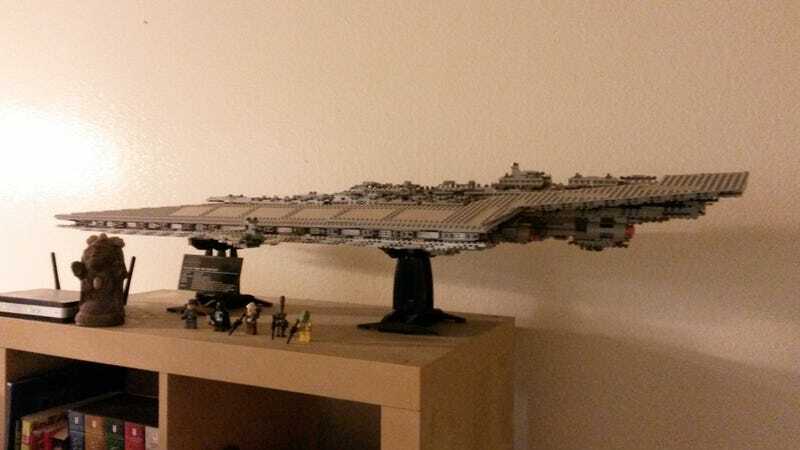 Since the Truth Bear asked about it in a comment on his Darth Revan post, I'm posting about my LEGO Super Star Destroyer. I posted about this a little way back in the pre-Kinja days but never followed up with images of the complete assembled model. The next Star Wars Lego promo figure is... Darth Revan!? It came with five figures - Darth Vader, Admiral Piett, Dengar, Bossk and IG-88 - and a regular Star Destroyer for scale comparison to the Executor. Lord Vader oversees the construction. I'm not the sort who will release the Kragle so I might make some special modifications to the model if I'm inspired.